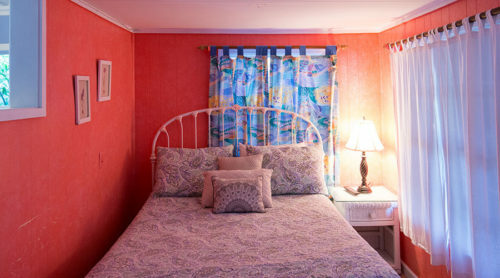 The Periwinkle Loft is a guest favorite. This is a 1 bedroom cottage with a loft, 1 bath cottage with a microwave, mini fridge, coffeemaker, and a wet bar. 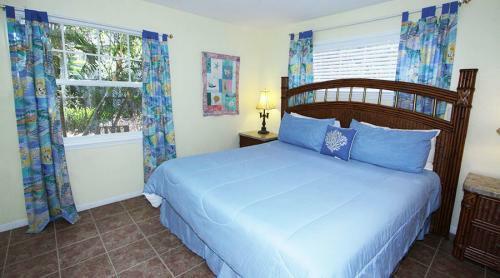 There is a queen bed in the main room and a queen bed in the loft overlooking the bedroom. 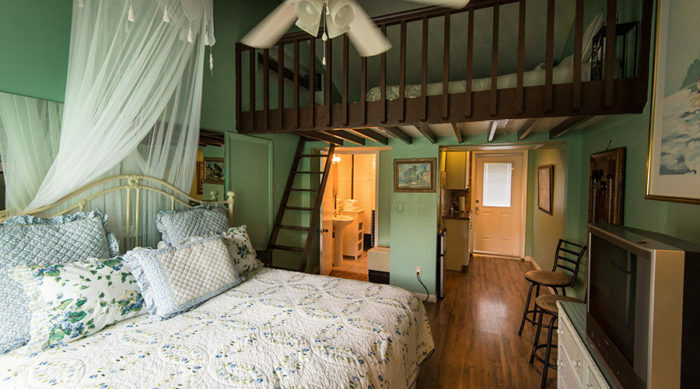 There is also a private deck in the back, off the bedroom and a charming front porch. 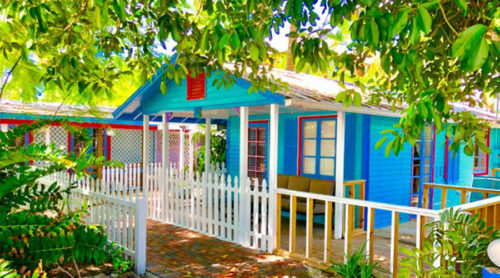 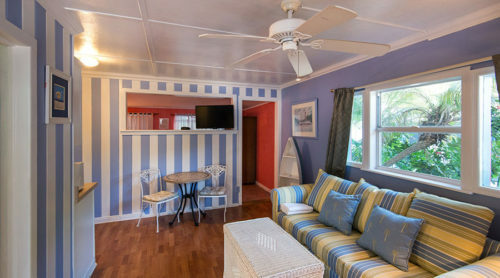 Captiva Island cottages are centrally located within walking distance to the beach, great restaurants and eclectic shopping. 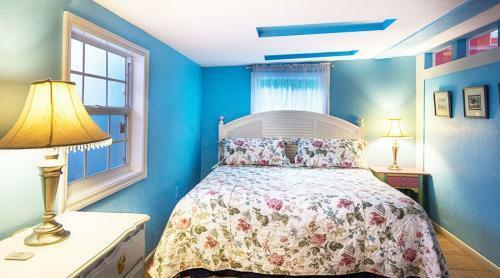 The Periwinkle Loft is a guest favorite. 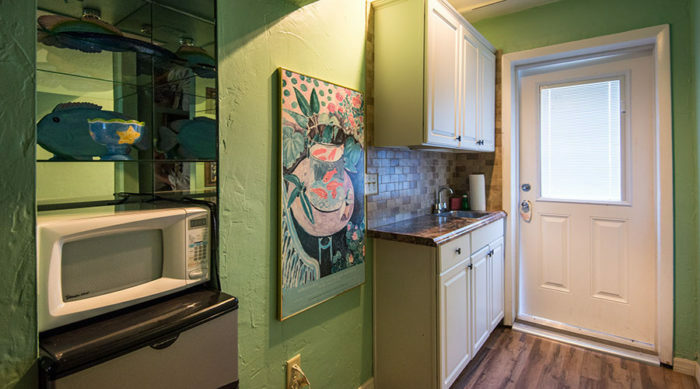 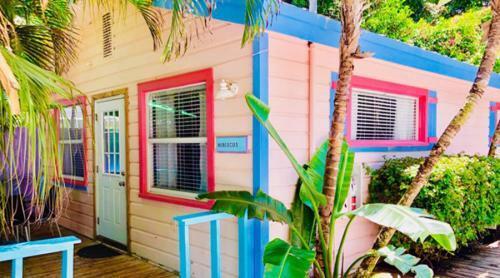 This is a 1 bedroom, 1 bath cottage with a microwave, mini fridge, coffeemaker, and a wet bar. 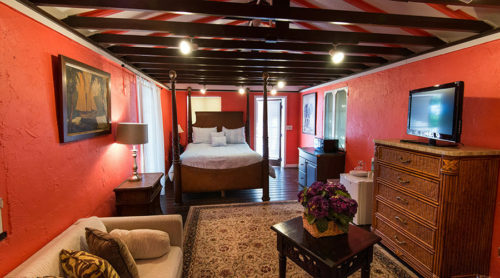 There is a Queen bed in the main room and a queen bed in the loft overlooking the bedroom. 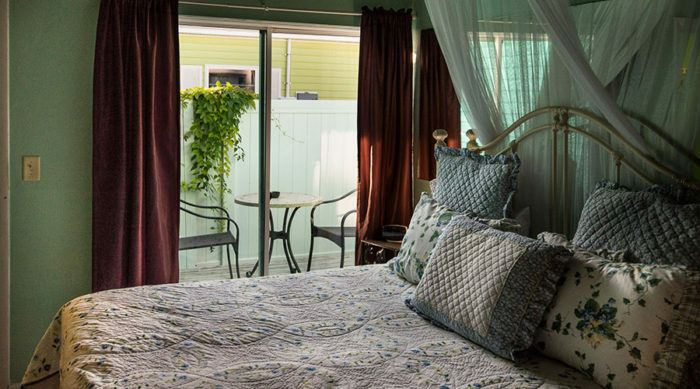 There is also a private deck in the back, off the bedroom and a charming front porch.